The theory of dark matter has struck out at the plate again. Scientists reported that they have observed a galaxy named NGC1052-DF2 that seems to have no dark matter near it. This contradicts the dogmatic claim of dark matter theorists that there is a halo of dark matter surrounding every galaxy. This is the second blow this year against the dark matter theory. It was only last month that we had headlines such as “New Observations of Galaxies Challenge the Standard Cosmological Model.” It was found that 14 out of 17 satellite galaxies orbit the galaxy Centaurus A in a flat plane-like orbit, not randomly scattered in a sphere surrounding that galaxy, as predicted by dark matter theorists. The same type of situation had previously been found in regard to our own Milky Way galaxy and the large nearby galaxy Andromeda. In all three of these cases, satellite galaxies are positioned in roughly a disk-like shape, rather than scattered in a sphere-like shape as predicted by dark matter theory. The headlines were based on a scientific paper that estimates that the chance of finding a plane-like arrangement of satellite galaxies is only 1 in 200, and which says that the chance of finding three galaxies with such an arrangement is “extremely unlikely” under dark matter assumptions. We thought that every galaxy had dark matter and that dark matter is how a galaxy begins. This invisible, mysterious substance is the most dominant aspect of any galaxy, so finding a galaxy without it is unexpected. It challenges the standard ideas of how we think galaxies work, and it shows that dark matter is real. It has its own separate existence apart from other components of galaxies. How's that professor? Finding a galaxy that you don't think has any dark matter shows that dark matter is real? That's defective reasoning, like someone arguing that the fact that he didn't see any unicorns today just proves that unicorns must exist. 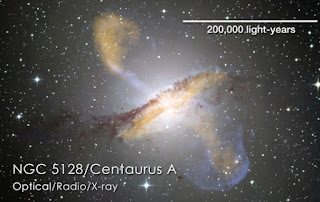 We get another look into the logic of van Dokkum in an article on Quanta.org, with the misleading headline, “A Victory for Dark Matter in a Galaxy Without Any.” In that article van Dokkum reasons that other theories would also have a hard time explaining this NGC1052-DF2 galaxy. But an adherent of the dark matter theory is not a reliable source on what competing theories do or do not explain or predict. Scientists in general who become fanboys of some particular theory tend to know very little about competing theories, and often have distorted or jaundiced views about competing theories. Also, it makes no sense to argue that your theory is right because something was observed that conflicts with both your theory and a rival theory. In such a case, the most likely thing is that neither of the theories is correct. It is, of course, a complete fallacy to be assuming that one of the theories about some natural topic must be true. We may have Theory A, Theory B and Theory C to explain Topic X, but there is no reason to assume that one of these theories must be true. The correct explanation might be Theory D or Theory E or Theory F, none of which humans have ever considered. We also get a misleading headline from Nature.com, which has a story entitled, “Beguiling dark matter signal persists 20 years on.” That sounds like dark matter has been detected. But the text of the article tells a different story. We hear that “many physicists still express skepticism” about this signal, and some reasons for thinking it's not dark matter. So in that case, why does the story's headline refer to a “dark matter signal” ? Nowadays there is a situation where any astronomer who sees something baffling he can't explain may tend to call it “a possible sign of dark matter.” But there have been no reliable observations directly showing dark matter exists, and expensive projects trying to detect it directly have failed. Nor do we have any theoretical understanding of dark matter on the particle physics level. The theory at the center of particle physics is called the Standard Model of Physics. Dark matter has no place in such a theory. So why do astronomers go about claiming that this or that galaxy has dark matter near it? They make such claims whenever they see galaxies behaving in surprising ways they can't explain through ordinary gravity produced by regular matter. What led to the belief in dark matter was the discrepancy shown in the visual below. 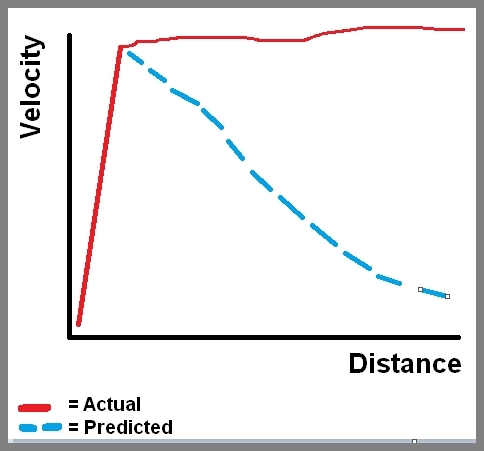 Astronomers thought that the rotation velocity of stars (the speed at which they rotate around the center of the galaxy) should decrease the more the stars are located from the center of a galaxy (which would be the behavior shown by the blue line below). But instead stars rotated with the speed shown in the red line. 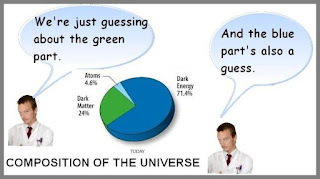 Such a discrepancy was certainly not anything that directly suggested that dark matter existed. It was merely a case of nature behaving in a surprising way. Scientists tried to explain this discrepancy by advancing a very contrived, ad-hoc, and speculative assumption: that each galaxy was surrounded by a kind of envelope or halo of invisible dark matter. Such a theory involves two assumptions: the assumption of the existence of such invisible matter, and also a very specific assumption about the arrangement and placement of such matter. The astronomer making such an assumption is like some theologian confidently telling you not merely that angels exist, but that they live on top of clouds where we can't see them (which would involve not just an assumption about an unseen, but a very specific assumption about the position of such an unseen). The “overwhelming evidence for dark matter” cited by astronomers is no such thing. It's just evidence that stars rotate with speeds that have a surprising uniformity that we don't understand. When an astronomer says that galaxy X has dark matter, he essentially is just saying that the stars revolve around the center of a galaxy with the pattern shown in the graph above. That isn't really something that tells us dark matter exists, but merely a hint that it might exist. A science paper found (as discussed here) that the rotation speed of galaxies is well-correlated with the amount of visible matter, something that makes no sense under the theory of dark matter. Showing their love for being obscure in unnecessary ways, scientists use “^CDM” to signify the cold dark matter theory, in which the first character is the Greek letter lambda. Such a phrase can be expressed as Lambda Cold Dark Matter. But that Lambda word tells you nothing. The theory should be called the Specially Placed Invisible Matter theory or SPIM. That would remind us that the theory relies not merely on postulating invisible matter, but on special assumptions about the way such matter is placed. Premise 1: Astronomers know from red shifts that all the galaxies are expanding away from each other. Premise 2: The universe has a type of background radiation that we would expect it to have if the universe was once in a very dense state. Conclusion: The universe must have started expanding from a state of incredible density. That conclusion holds up reasonably well. But let's try the same thing with dark matter. Premise 1: The stars in a galaxy rotate around the center of the galaxy at a much more uniform speed than we would expect if just visible matter is involved, given our current understanding of gravity. Conclusion: Therefore, such a galaxy must be surrounded by an invisible halo of dark matter, some substance never directly observed, with this halo arranged in a very particular way. This conclusion does not at all follow from the premise. It is merely a speculation, one of many possible ways in which the rotation discrepancy might be explained, including new laws of nature. Scientists who talk in a matter-of-fact way about dark matter are merely another example of something we see all too commonly: scientists acting as if they know things that they do not actually know. The problem is that scientists fall in love with their speculative theories, forgetting they are conjectural, and a scientist may "live-breath-and-eat" his favorite theory like some novelist totally wrapped up in his novel or like some ardent suitor obsessed with his loved one. Last night on the National Geographic channel there was a science documentary discussing the origin of life. It was the typical misleading treatment of this topic I expect to see on a TV show or a mainstream source. There was the usual vastly overconfident talk suggesting scientists may be on the brink of solving the problem of life's origin, an entirely unfounded claim we have been hearing for 70 years. We also heard a scientist in front of a hot spring or hydrothermal vent saying, “This is where chemistry turns into biology.” No, it isn't. There could only be a case of chemistry turning into biology if chemicals were to turn into a living thing, something that hasn't happened on our planet for at least three billion years, in either nature or a laboratory. Chemistry does not turn into biology in hot springs or hydrothermal vents. As a recent scientific paper notes, "Independent abiogenesis on the cosmologically diminutive scale of oceans, lakes or hydrothermal vents remains a hypothesis with no empirical support." The origin of life is a case of an organization explosion. The origin of even the simplest life seems to require a fantastically improbable burst of organization. Protein molecules have to be just-right to be functional. It has been calculated that something like 1070 random trials would be needed for a functional protein molecule to appear, and many such protein molecules are needed for life to get started. And so much more is also needed: cells, self-replicating molecules, a genetic code that is an elaborate system of symbolic representations, and also some fantastically improbable luck in regard to homochirality. Scientists have no plausible explanation for this organization explosion, nor do they have a decent explanation for another organization explosion: the Cambrian Explosion. When we examine the fossil record, we don't see fossils appearing in larger and larger sizes, at an even rate of progression between 3 billion years ago and 100 million years ago. Instead, we see very little fossil evidence of life prior to the Cambrian era about 520 million years ago. But during the Cambrian era there is a sudden surge of fossils in the fossil record. This sudden blossoming of life during the Cambrian era is known as the Cambrian Explosion. Bryozoans, or moss animals, make their first appearance in the fossil record about 490 million years ago. All other phyla had appeared by about 510 million years. 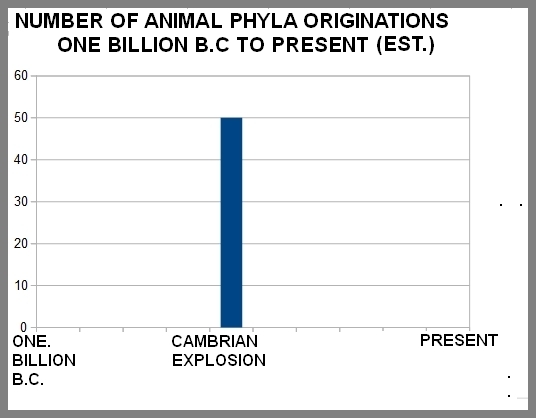 We don't know how many animal phyla originated in the Cambrian Explosion, and estimates vary between 30 and 100. 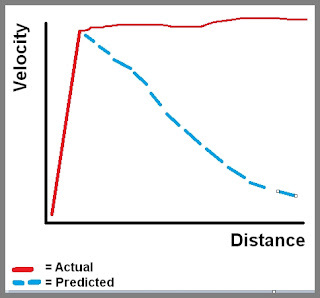 The graph below assumes an intermediate estimate of 50. 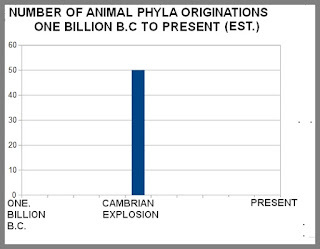 A graph like this is startling, because it shows the origin of animal phyla in a single blip. Parker's astounding explanation is that it was the development of vision in primitive animals that caused the explosion. Precambrian creatures were unable to see, making it difficult to find friend or foe. With the evolution of the eye, the size, shape, color, and behavior of animals was suddenly revealed. Once the lights were “turned on,” there was enormous pressure to evolve hard external parts as defenses and grasping limbs to grab prey. The animal kingdom exploded into life, and the country of the blind became a teeming mass of hunters and hunted, all scrambling for their place on the evolutionary tree. The book calls this theory the “light switch” theory. What is this “pressure” referred to in this quote? It is what Parker calls “selection pressure.” The concept of selection pressure is reasonably used when talking about microevolution, changes in a population that result simply from a state where some particular trait already present in the population is either favored or disfavored by the environment. Here is an example. Imagine a population of 500 dogs is introduced in the wild to a very cold island in upper Canada. Some of the dogs may have short fur, and others may have thick fur like the Samoyed breed. In such a situation, you could say there is selection pressure that might cause the dogs with thick fur to become more common in the population over the next few generations (because the short-haired dogs might tend to freeze to death). This is an example of microevolution, which does not involve any new complex biological innovations. All of the examples in the wikipedia.org article on “evolutionary pressure” (the same as selection pressure) are mere examples of microevolution. Let us consider the Darwinian account of how evolution occurs. We are told that new biological innovations are caused by lucky random mutations and natural selection. The idea is that over the eons there very rarely occur fortunate random mutations. We are told that natural selection causes favorable random mutations to accumulate, and that this results in useful new adaptions. Such a Darwinian process will be at the mercy of how often these rare lucky mutations occur. Such a rate will not be sped up when there is a need for some particular innovation. If a biological innovation requires many parts before it can be useful – which is certainly the case for a vision system, hard shells, and grasping limbs – then there will be no natural selection at all until the innovation has reached a functional threshold, which requires quite a few parts arranged in a way that achieves a functional coherence. Using the term “selection pressure” to try to explain such an innovation of macroevolution is nonsensical. There would be no natural selection at all until the innovation had become largely functional. And when there's no natural selection going on, there can be no selection pressure. It is absurd to use the word “pressure” to try to explain the natural origin of useful parts and their arrangement into functionally coherent systems. It would be just as absurd to say that if you are freezing in the woods, there will be a “habitation pressure” that will cause falling trees to form into a log cabin for your convenience. For example, suppose there's a species that does not have wings, and is often preyed on by some predator. It is absurd to say that there is then a selection pressure pushing such an organism to turn into a flying organism that can escape the predator. Until the organism were to develop functional wings, there would no natural selection going on favoring wings. And when there's no natural selection favoring something, there cannot be selection pressure. Parker's magic-wand phantasmagorical thinking about “selection pressure” is shown on page 6 of his book, where he says, without providing an example, “The introduction of a new food source may lead to the evolution of new mouthparts and limbs for movement.” So if you're an animal that doesn't have a mouth or legs, and some other mobile animal starts to appear in your area, one that might be nice for you to eat, then evolution conveniently provides your species with a mouth and legs, like some Fairy Godmother providing Cinderella with just what she needed for the Prince's ball? That's hilarious. In reality, Darwinian evolution will always be at the mercy of random mutations that will not cooperate based on needs, and which will always be fantastically unlikely to provide a species with new innovations that it might find useful. This is because virtually all random mutations are neutral or harmful, and it is fantastically unlikely that random mutations would conveniently occur in a way allowing parts to fit together, so that functional coherence was achieved. The need for some biological innovation would cause no change at all in the rate at which favorable random mutations would occur. Such favorable random mutations would be just as fantastically unlikely to occur when a species needed something as when the species didn't need anything. Similarly, there is no relation between your financial needs and the likelihood of you winning a million dollars by playing roulette at Las Vegas. You don't explain the first three of these under any “the lights turned on, so animals needed to protect themselves” idea, as it doesn't explain the first three things. Nor does it work to explain the appearance of protective shells by evoking Darwinian natural selection. Let us imagine the gradual evolution of a protective shell around the internal organs of some species like a primitive trilobyte. The first stages in such a protective shell would offer no benefit, because the organism's body would still be a mostly unprotected area that a predator could attack, like some shark munching on a swimmer who only had his wrists protected by steel bands. So there would be no natural selection benefit for the early stages of such an innovation. This is the same “non-functional intermediates” problem, which in Darwin's time was called the problem of incipient stages. The problem of explaining the Cambrian Explosion is the problem of explaining the abrupt appearance of a wide variety of sudden biological innovations, including vision, which there is no fossil record of before the Cambrian Explosion. Parker cheats on such a task by offering an explanation that starts out with vision appearing, and then tries to use that to explain the other innovations. That's a cheat because his “light switch” theory doesn't explain the hardest part of the Cambrian Explosion, explaining the origin of vision. So here we have a classic case of the problem that intermediates or incipient stages would be nonfunctional. For example, it would do a species no good if it had only a primitive eye but not the proteins needed to capture light, or only those proteins but not the primitive eye. The first eye must have evolved in response to an increase in sunlight...And indeed the geologists have revealed an increase in sunlight levels precisely at the very end of the Precambrian. He provides no reference for this claim, which is not true in any substantive sense. There is no geological way to tell how much sunlight there was 530 million years ago, and scientists in general assume that the sun does not suddenly change its output. The scientific paper here has a graph that shows an estimate of solar radiation during the past billion years. We see no sudden increase at the time of the Cambrian Explosion about 530 million years ago. The basic idea behind Parker's “light switch” theory in his In the Blink of an Eye book is a kind of “Fairy Godmother” concept of evolution. It's the idea that when species need something, evolution rather quickly provides them with wonderful new innovations, “in the blink of an eye,” like the Fairy Godmother providing Cinderella with the wonderful innovations she needed to go to the Prince's ball (or like the female character in I Dream of Jeannie blinking something into existence to benefit her astronaut master). Such a chimerical description is very much at odds with standard claims that evolution is driven by mere random mutations and natural selection. The rate at which incredibly unlikely favorable random mutations occur will have no relation at all to the needs of some species, and it should always be fantastically improbable that random mutations should occur in an organized way that conveniently matched the needs of some species. Another lame explanation of the Cambrian Explosion involves saying that there was an increase in oxygen that allowed it. But you don't explain a fantastically improbable thing by merely mentioning that a prerequisite for it recently appeared. That's as fallacious as Bob's reasoning in the exchange below, which takes place in Joe's backyard. Joe: How do you like my house of cards? Bob: You must have made that by just throwing a deck of cards into the air. Joe: You're crazy! That would never work. Bob: But I have an explanation for how it happened: it's that today is a nice calm day. You never could have made that house of cards yesterday by throwing the deck of cards into the air, because yesterday it was too windy for that to work. Bob has here committed the fallacy of trying to explain a fantastically improbable event by merely mentioning that a prerequisite for it occurred. There's one other explanation I've read for the Cambrian Explosion. It's that we observe it because the Cambrian Explosion suddenly started making fossils that are big enough and hard enough for us to observe 500 million years later. That explanation is as lame as the young man's reasoning in the exchange below. Old man: I've never seen anything very strange, except that 50 years ago I suddenly saw 40 huge monsters appear in a field. Young man: The explanation is obvious. You saw them that day because they were so big. If they were just tiny monsters, you wouldn't have noticed them. This type of explanation explains nothing. There is also the rather laughable explanation suggested by one researcher, in an article entitled, "Cancer tumors could help unravel the Cambrian explosion." Talk about grasping at straws. Cancer is a disorganized cell growth, and such a thing does nothing to explain the incredible organization burst that occurs when a new phylum originates. In the article the author claims to have advanced a "new theory," but the scattered observations in the article never amount to a coherent hypothesis. In a final reckoning it would have to be admitted that ultimately all of evolution has been controlled and continues to be controlled by space-borne organisms, microbes and viruses. It is important that we not allow Science to be stifled by a reign of dogmatic authority that strives to restrict its progress along narrow conservative lines. The current situation is strikingly reminiscent of the Middle Ages in Europe – Ptolemaic epicycles that delayed the acceptance of a Sun-centred planetary system for over a century. 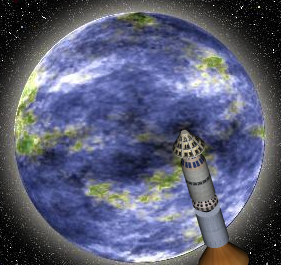 A question raised by their idea is: if you're going to imagine extraterrestrial life contributing to earthly evolution, then why not just try to explain the Cambrian Explosion by imagining a spaceship that came here and dropped off organisms specifically designed to live here, as I speculated in this post? The scientific paper gives specific numbers of new genes that appeared when specific groups of animals originated. For example, it lists 1580 novel genes needed for Bilateria to originate, 1201 novel genes needed for Planulozoa to originate, and 1189 novel genes needed for Metazoa to originate. Interestingly, the New York Times covers this story with a headline "The Very First Animal Appeared Amid an Explosion of DNA," which sounds like my phrase "information explosion." Meanwhile panspermia.org refers to these novel genes by saying,"What we find remarkable is that neither the genes that apparently predate animals, nor the novel ones noticed now... have any discernable darwinian provenance," meaning they are unexplained under Darwinian theory. For decades the late Stephen Hawking was the center of a kind of giant hype machine that portrayed him as the greatest living scientific genius. This hype was unwarranted for a scientist who never even won a Nobel Prize. Showing admirable persistence and diligence despite his severe handicaps, Hawking made some interesting contributions to the study of black holes. But his thoughts about topics outside of his specialty were often not very wise. An example of his dubious thinking was his “No Boundary Proposal” about the Big Bang, that the Big Bang was not a boundary in space or time. The problem with this proposal is that it is the exact opposite of what nature tells us about the beginning. Everything we have learned about the Big Bang suggests it is as clear a boundary as you can imagine, a sudden beginning of time and space. This is a pitfall that has afflicted many of the greatest minds throughout scientific history: to fall in love with their own fringe scientific ideas so thoroughly that you tout them with the certainty normally reserved for verified, validated, robust theories. Hawking's no-boundary proposal is speculative and unproven, yet Hawking will often (including in A Brief History Of Time) speak about it with the same certainty he'd speak about black holes....Unproven ideas should never be a substitute for legitimate facts, yet Hawking, in every book he ever wrote, never tells you when he strays from the confirmed-and-validated into this speculative realm, particularly where his own ideas are concerned. Here Siegel is right on the mark. 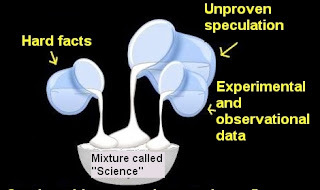 One of the greatest problems of modern scientific literature is that writers mix up speculations and established facts, packaging the whole mixture as “science.” And so many a dubious proposition and many a doubtful theory is sold to the public as “science,” as if such things were well-established. Such failure to distinguish between fact and theory goes on constantly in the literature of biology, psychology, physics, and cosmology. When people start a sentence with “Science says,” half of the time they will refer us to something that has not actually been established by observations or experiments. Unfortunately, Siegel himself is often guilty of exactly this problem of falling in love with his own shaky scientific ideas so thoroughly “that you tout them with the certainty normally reserved for verified, validated, robust theories.” We see this repeatedly in his columns when he refers to the extremely speculative and very much unverified theory of cosmic inflation as if it were empirically established science, which it certainly is not. We also see this repeatedly when Siegel refers to the speculative theory of dark matter as if it were empirically established, which it is not. No one has ever directly observed any dark matter. In the same column that Siegel is criticizing Hawking for speculative excess, he refers to “everything we've learned since 1979 about the conditions that set up the Big Bang.” Nothing of the sort has actually been learned, and we know nothing whatsoever about any conditions that set up the origin of the universe. Because of the presence of the free electrons, photons were scattered around in all directions and could not travel far before changing their direction. Therefore the universe was "opaque". We therefore will never be able to get any observations about anything that happened during the universe's first 300,000 years. The light from those years was hopelessly jumbled and scrambled by the density of the matter, as strongly as if you put your Microsoft Word document through a computer program that might thoroughly scramble its characters 100,000 times. As we will never be able to make observations of the universe's state in the first 300,000 years, all claims about the exact state at the Big Bang (or before it) will never be claims backed up by observations. A physicist blogger with a large following is Lubos Motl, who has been blogging many times a month since 2004 at his site "The Reference Frame." 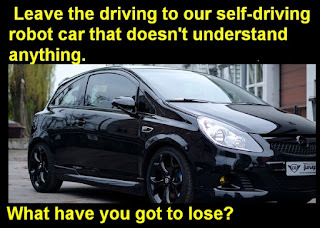 Motl's blog is a strange collection of physics, politics, and climate commentary, with many of his opinions being very dubious (but presented with a large amount of literary skill and style). Very strangely Motl is for supersymmetry (a theory for which there is no evidence), but opposed to standard ideas on global warming (for which there is a great deal of evidence). This is simply an example of how the assertions of a modern scientist may be very largely dependent on the scientist's personal tastes. On the plus side, I may note that Motl is a good person to have around when physicists start spouting nonsense about parallel universes, because he has shown his skill at debunking such speculations. Another physicist blogger with some interesting content is Sabine Hossenfelder, who blogs at this site. In contrast to Motl, she has repeatedly criticized the theory of supersymmetry, a speculative physics theory. That seems appropriate, since all signs are that supersymmetry has been a great big waste of time. Thousands of scientific papers have been written advancing this ornate speculative theory for which no evidence has been gathered. But it's not correct that the supersymmetry theory was advanced because physicists had some great longing for a beautiful or pretty theory. The supersymmetry theory (a very cluttered affair not at all beautiful) was advanced to explain away a particular case of fine-tuning in the laws of physics. No evidence has shown up for the supersymmetry theory. So scientists are stuck with this case of “miraculous fine-tuning” they had hoped to avoid. In a previous post, Hossenfelder compared this particular case of fine-tuning to finding a cube balanced on one of it edges. She says she doesn't believe that “finetuned parameter values require additional explanation.” In that post she seems to speak as if she thinks people should not pay much attention to cases in physics where we find a cosmic balance so delicate that it's like a cube balanced on one of its edges. I disagree, and think that such cases (which must have an explanation other than chance) are weighty cosmic clues we should pay very much attention to. Postscript: In a recent interview in Scientific American, cosmologist Martin Rees says that the cosmic inflation theory (not to be confused with the more general Big Bang theory) is a "good bet." But we should call things a "good bet" only when we have some probabilistic basis for believing in their likelihood. For example, if you hear a 60-year-old suddenly died in his home, it would be a good bet that he died of a heart problem, because that's the most common cause of sudden deaths in the elderly. But there is no probabilistic basis whatsoever for calling cosmic inflation (a brief burst of exponential expansion of the universe) something likely to have occurred. For such a thing to occur (ending up with a universe like ours) requires so many special conditions and so much fine-tuning that it is wrong to be calling such a theory "a good bet." The theory is better described as a "popular story." Theoretical physicists have proposed some thousand ideas for what might have happened in the early universe. There are big bangs and big bounces and brane collisions and string cosmologies and loop cosmologies and all kinds of weird fields that might or might not have done this or that. All of this is pure speculation, none of it is supported by evidence. “You bet I am!” said Steve. Frank retrieved what looked like a space suit. “I'll put it on,” said Steve. After applying the blue cooling gel all over his body, Steve put on the expedition suit. It fit reasonably well. “So you think you're ready to go outside?” asked Frank. “Sure, I'm ready,” said Steve. Frank showed how to set up the backpack cooling device. 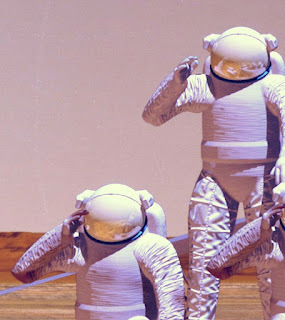 He had Karen, Tom, and Steve test the radios of the expedition suits. The radios would allow them to talk to each other over the noise of the backpack cooling unit. After the weather check, and after Karen, Tom and Steve were all suited up, they exited the building. They set out toward their destination a mile away. Steve was delighted by all the sights around him. It was a bleak landscape, but for a little boy who could never recall being outside of the building where he lived, everything he saw around him was a source of wonder. “You ever get into trouble on a trip like this?' asked Steve. After a mile of walking, they reached the supply center, and went inside. “Okay, you can take off the helmet of your suit,” said Tom. It was nice and cool inside the supply center. After gathering their supplies, Tom asked Steve what they should do before going outside again. “I guess we just have to put on our suit helmets again,” said Steve. They all took off their suits, reapplied the cooling gel, and put their expedition suits back on. Before exiting the supply center, Tom had a question for Steve. “So can we go outside now?” asked Tom. After making the suit checks, Tom asked Steve one more question. “So now are we ready to go outside?” asked Tom. “I guess so,” said Steve. “But we already did that when we set out,” said Steve. After the weather check was made, Tom, Karen, and Steve exited the supply center, and began the one-mile trip back to the building where they lived. The trip back was uneventful. After returning to Frank, they took off their expedition suits, and cleaned off the remainder of the sticky cooling gel on their skin. “All that hassle, just to get some food at the grocery store,” said Tom with a sigh. The four of them were living in Phoenix, Arizona in the southwestern United States in the year 2160. 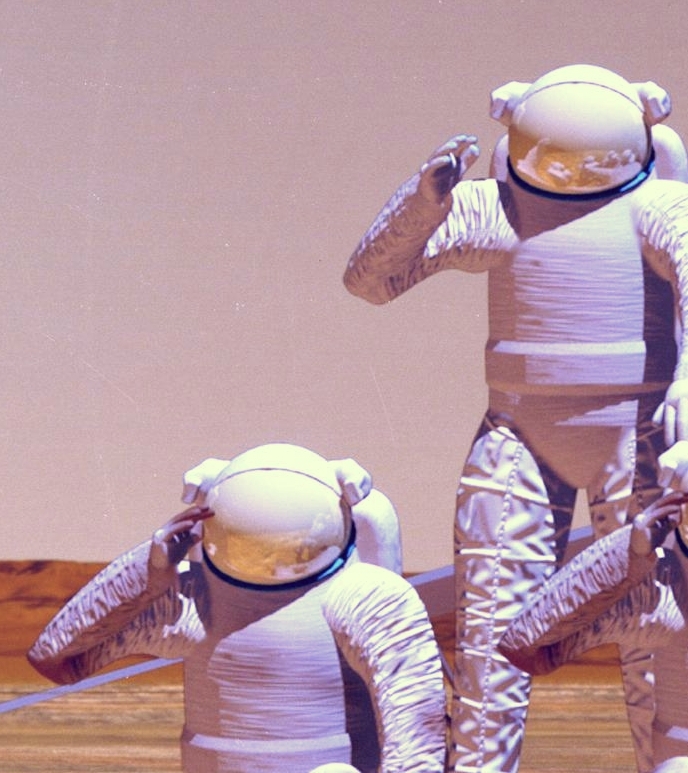 Once populated by more than a million people, the heat-scorched city now had a population of only 4,300, and all of them dressed up like astronauts when they dared to travel outside.